When you need a highly reliable and economic car, you can't go wrong with the 2017 Toyota Corolla. It's a low-maintenance option that also sips fuel, taking you further without any hassle. It also adds ample interior space, with enough legroom even adults can sit comfortably in the rear. A solid, smooth ride quality on city streets and freeways alike further adds to the appeal of the car. 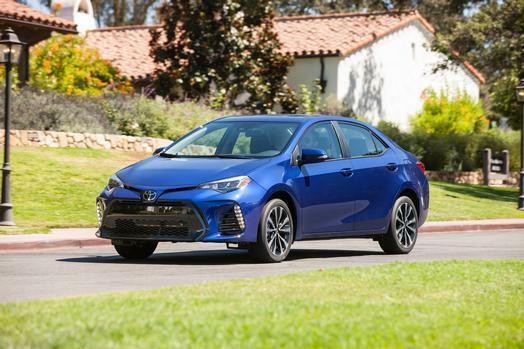 Toyota gives buyers plenty of choices, with 7 trim levels available for the 2017 Corolla. Thanks to the standard 1.8-liter 4-cylinder engine with Valvematic technology, drivers stay engaged and fuel stops come less frequently. It's rated at a peak 140 horsepower and 126 lb.-ft. of torque. Mated to the engine is a continuously variable transmission (CVT) with a shift mode. SE models feature a 6-speed manual transmission, adding a particularly sporty flair to the sedan. Having been thoroughly wind-tunnel tested, the 2017 Toyota Corolla is designed to save you money at the pump. Especially efficient is the LE Eco trim, with an ECO Mode that reduces accelerator pedal input and automatically adjusts the air conditioning to boost fuel economy further. Front-wheel drive is included for all versions of the Corolla. Electric power steering combines with a power-assisted rack-and-pinion setup, MacPherson front struts and a torsion beam in the rear for solid control at city and freeway speeds. Protection for everyone is supplied by the 2017 Toyota Corolla. Eight airbags come standard, including coverage for the driver's knees and side curtains. Every trim is loaded with the Star Safety System, bundling together various active technologies to prevent accidents from happening in the first place. Even the front seats are made to reduce the likelihood of whiplash injuries when the car is struck from behind. Whenever reverse is engaged, the standard rearview camera activates, providing drivers with a commanding view of obstacles. Climbing into the 2017 Toyota Corolla surrounds you with a sophisticated environment. Upscale materials, a flowing design, contrast stitching and other details combine to surpass your expectations. SofTex upholstery is available, providing the benefits of leather, and resisting staining as well as water. An automatic climate control system, which uses digital controls to maintain whatever setting you choose, is another optional creature comfort. With the latest onboard technologies, keeping connected and informed is easier than ever. Bluetooth connectivity for smartphones is standard, allowing for streaming music and hands-free calls. 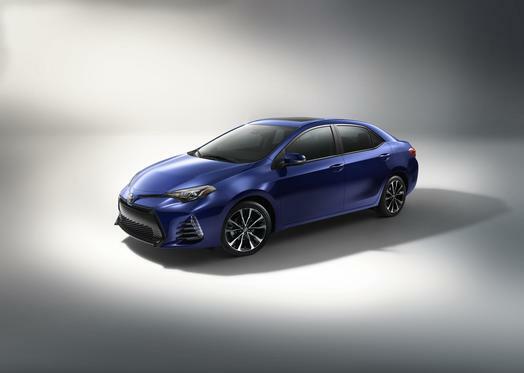 An Entune Audio Plus system is available for the 2017 Toyota Corolla, bundling together a 7-inch high-resolution touchscreen, auxiliary input and Siri Eyes Free. Advanced voice recognition controls are placed on the steering wheel, so you can just speak and play certain music tracks or perform other tasks with minimal distraction. Increased convenience is included with the optional smart key system, which automatically unlocks the doors and requires just a push of a button to start the engine.